André Emmerich, an influential Manhattan art dealer whose gallery was an early champion of the 1950s and ’60s school of Color Field painting and who also mounted important shows of pre-Columbian art, died yesterday at his home in Manhattan. He was 82. His wife, Susanne, who confirmed the death, said he had had a stroke early this month. Always interested in the work of ancient peoples, Mr. Emmerich mounted insightful exhibitions of pre-Columbian art and classical antiquities. He became an authority on pre-Columbian art, lecturing and writing two books on the subject: “Art Before Columbus” (1963), and “Sweat of the Sun and Tears of the Moon — Gold and Silver in Pre-Columbian Art” (1965), a scholarly survey. He stopped showing the work because of increasing export restrictions. In 1996, Mr. Emmerich sold his gallery to Sotheby’s but continued to direct it. After a run of 45 years, however, it was closed by Sotheby’s in 1998. UPDATE (June 12): An appreciation of Sembène by New York Times writer A.O. Scott appears here. Ousmane Sembène, the Senegalese filmmaker and writer who was a crucial figure in Africa’s postcolonial cultural awakening, has died at his home in Dakar, Senegal. His family, which announced his death on Sunday, said Mr. Sembène had been ill since December. He was 84. Widely seen as the father of African cinema, Mr. Sembène took up filmmaking in the 1960s, in part because he believed that film could reach a wider and more diverse African audience than literature. “Black Girl” (1965), his debut feature, is commonly referred to as the first African film. Combining realistic narrative techniques with elements of traditional African storytelling, it tells of a young woman named Diouana who commits suicide after traveling to Europe with her French employers. Diouana’s identity crisis foretold some of the central themes of Mr. Sembène’s later work — he directed 10 features and numerous shorts — and of the nascent African cinema more generally. The tensions between tradition and modernity and between newly independent African nations and their erstwhile colonial masters are sources of drama and comedy in his films, which are nonetheless focused on the lives of ordinary people, frequently women. “Xala” (1974), which many critics consider his finest film, takes a humorous look at polygamy, traditional African medicine and the contrasts between urban and rural life. Neither mocking nor nostalgic in its treatment of traditions, it is as much driven by the personalities of its characters as by its ideas about African life. At the same time, the characters’ foibles are clearly symbols of political and social dysfunction. A similar logic obtains in later films like “Guelwaar” (1993) and “Faat-Kiné” (2001). Writing about the latter movie in The New York Times, Elvis Mitchell noted that some of its scenes could have been “whipped up into a tempest of tear-jerking” but that Mr. Sembène’s “trademark empathy” and sense of detail served as antidotes to melodrama. Even when he addressed painful and controversial subjects — as in “Moolaadé” (2004) which chronicles a middle-aged woman’s campaign to halt the practice of female genital cutting in her village — Mr. Sembène tempered moral fervor with warmth and humor. 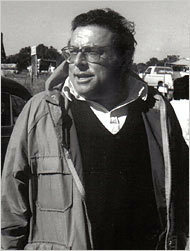 He studied film at Gorky Studio in Moscow, turning to the medium because, as he put it in 2005, “everything can be filmed and transported to the most remote village in Africa.” After making three short films, he submitted the script for “Black Girl” to the Film Bureau of the French Ministry of Cooperation, an agency set up by the government of Charles de Gaulle to assist African filmmakers. The script was rejected, and while Mr. Sembène was able to complete the film independently, some of his later films would run into trouble with both French and Senegalese authorities. “Mandabi” (“The Money Order,” 1968), was attacked in Africa for its portrayal of political corruption and economic devastation, and “Emitai” (1972) was suppressed in France for five years because of its harsh depiction of colonialism. In spite of occasional controversy, Mr. Sembène’s mastery and originality were celebrated both in Africa, where he served as an inspiration for later filmmakers, and internationally. He won prizes at the Venice Film Festival in 1968 (for “Mandabi”) and 1988 (for “Camp de Thiaroye”), and at Cannes in 2004 (for “Moolaadé”). 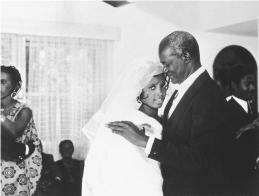 He was a founder, in 1969 of FESPACO, the biennial festival of film and television held in Ouagadougou, Burkina Faso. Published by the Smithsonian, the handbook is a major multi-volume reference work summarizing anthropological, linguistic and historical knowledge about native peoples north of Mexico. Bearing the imprint of its editor, the thoroughness of the handbook has made it the essential resource for those interested in Native American societies. CELEBRATED Aboriginal artist Nyakul Dawson, a traditional healer who grew up living nomadically in the desert with his parents, is feared to have perished on a remote track after an apparent car breakdown 325km east of Kalgoorlie. The Pitjantjatjara artist, 69, and relative Jarman Woods, 45, had not been seen on their sprawling Pitjantjatjara lands for more than a week when a station hand found what was believed to be their vehicle and Dawson's body on Dog Fence Road last Friday. Searchers later that night found the body of another man, thought to be Mr Woods, about 3.5km south of the vehicle. The bodies have been flown to Perth for identification and autopsies. News of the tragic finds spread quickly through the communities of the Pitjantjatjara lands - covering 12,000sqkm - and was met with grief, disbelief and confusion by some. The beige Land Cruiser was found on a dirt road parallel to a newer one, community members told The Australian. Air searches began when community members told police that the pair had failed to arrive at the Tjuntjuntjarra community 650km north of Kalgoorlie as expected. Hetty Perkins, curator of Aboriginal and Torres Strait Islander Art at the Art Gallery of NSW, said that Dawson's work bought people from his Ngaanyatjarra area to national attention. She described him as a man of immense wit and wisdom and a master craftsman. She said Dawson's work, which hangs in the National Gallery of Victoria, helped make him "an incredible ambassador for Australia and indigenous people, he was really at ease in the international milieu of dignitaries". Some of Dawson's work depicts the places he went as a boy with his mother and father in the western desert region of central Australia. A traditional healer, Dawson is known among the Irrunytju people as a highly-respected law man and traditional healer. Dawson's biography on the Agathon Gallery website tells how he lived in the desert with his extended family where he learnt about the country, the tjukurpa of cultural law associated with it, and how to survive in the desert. "Working beside his grandfather, he began to train as an ngangkari when he was still a boy. 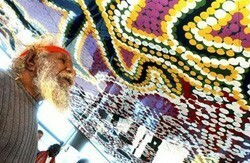 He learnt to use traditional tools and techniques, combined with spiritual knowledge and tjukurpa. He used mapanpa (sharp stone blades) to find splinters in the flesh and removed sickness by sucking out bad blood, touching, kneading and massaging the body," the biography states. He worked with prospectors and his memories of this time include the "terrible smell of the fallout from the nuclear testing at Maralinga" and being removed from his country to the mission at Warburton by Native Patrol Officers in the 1950s. When Allan Stone died at 74 on Dec. 15, 2006, the art world lost a passionate, funny and big-hearted collector, as well as an art dealer with a discerning eye and a long-standing enthusiasm for the work of emerging artists. I know this from personal experience. Allan was the first person to buy my own work, about 10 years ago, purchasing not one but six pieces of mine -- he liked to get in on the ground floor and buy in volume! The support, encouragement and validation that I got from that first sale to a man who was a serious art-world collector have stayed with me to this day. Many other young artists got their first break thanks to Allan Stone. He was instrumental in the early career of Eva Hesse, showing her drawings in the U.S. for the first time in 1963, and was an early supporter and collector of the work of Willem de Kooning, Franz Kline, Joseph Cornell and John Graham, among others. Allan's tastes were famously eclectic and wide-ranging. An acknowledged expert on Abstract Expressionism, he also gave Wayne Thiebaud and Richard Estes their first New York shows and represented them for many years. A grandson of Sam Klein (of the now-defunct landmark Union Square department store "S. Klein's on the Square"), Allan was a collector who entered the gallery business to support his collecting habit. In addition to modern and contemporary art, he was a voracious collector of African, tribal and folk art. Many knew him as a maverick dealer with an unorthodox but unerring eye, but I remember Allan as a warm, down-to-earth, unpretentious and generous man who lived large and had large appetites. He loved playing tennis, meeting interesting people, telling a good story, hearing a good joke, making large informal dinners with friends and family, and seeking out sweets of all kinds. He was not ill before he died in his sleep last week. On the contrary, he had just returned from Miami, where his gallery participated in Art Basel Miami Beach, full of energy and optimism for the future. He is survived by his wife Clare; daughters Allison, Jeremy, Claudia, Heather, Jessie and Olympia; brother Richard and sister Marilyn Siegel; and many friends in New York, San Francisco and Maine and around the world. He will be greatly missed by all who knew him. ORIANE STENDER is a Brooklyn-based artist and writer. Allan Stone, a New York dealer who combined a broad expertise in Abstract Expressionism with a zeal for junk sculpture and realist painting and was perhaps as well known for amassing art as for selling it, died on Friday at his home in Purchase, N.Y. He was 74. He died in his sleep, said his daughter Claudia. Mr. Stone was considered an expert on the work of the Abstract Expressionists Willem de Kooning, Arshile Gorky, Barnett Newman and Franz Kline as well as their contemporaries John Graham and Joseph Cornell. His gallery was especially known for imposing exhibitions of their work, often accompanied by catalogs for which he wrote essays filled with personal reminiscences and unusual insights. 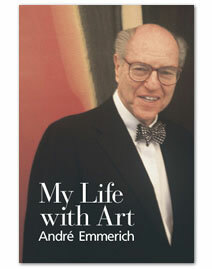 But he was legendary in the New York art world for his obsessive collecting. His gallery (like his home) teemed with primitive and folk art, no matter what exhibition was formally on view. At one point he owned untold numbers of de Koonings and nearly 30 Bugatti automobiles. When the gallery moved in 1991 from its longtime site at 86th and Madison to a carriage house on East 90th Street, Ms. Stone said, long-lost artworks resurfaced. John V. Murra, a professor of anthropology who culled voluminous Spanish colonial archives for research that reshaped the image of the Incas and their vast South American empire, died on Oct. 16 at his home in Ithaca, N.Y. He was 90. The death was confirmed by Blaine Friedlander, a spokesman for Cornell University, where Professor Murra taught from 1968 until his retirement in 1982. “Before he came along, the image of the Incas was one of barbaric splendor,” said Frank Salomon, the John V. Murra professor of anthropology at the University of Wisconsin-Madison. But Professor Murra’s work “forged a radically new image” of that empire, Professor Salomon said — one based on an intricate and often ceremonial exchange of produce as gifts among tribal kinfolk. They hiked from the edges of the rain forest to meet those living at the heights of the Andes, ensuring each other’s survival by trading key lowland crops like maize and potatoes for scarce mountain goods like llama and alpaca wool. That economic system was named “the vertical archipelago” by Professor Murra. 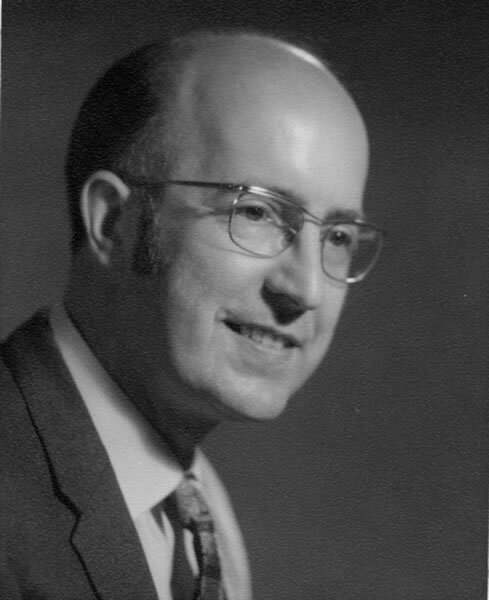 Professor Frank Willett, CBE, FRSE, who was Director of the Hunterian Museum & Art Gallery from 1976 to 1990, passed away peacefully on Thursday 15 June, aged 80. 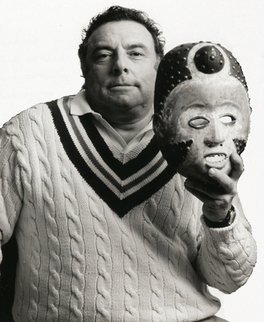 Professor Frank Willett, CBE, FRSE, was widely respected as a pioneering scholar of African art and archaeology and as a leading figure in the world of museums. In Glasgow he was the first Director of the Hunterian Museum and oversaw the completion and opening of the Hunterian Art Gallery and the superb adjoining reconstruction of Charles Rennie Mackintosh’s house. His contributions to the study of West African culture were acknowledged in many ways, most recently in 2004 by the award of the Royal Anthropological Institute’s important Amoury Talbot Prize. Frank Willett was born in Bolton, Lancashire, in 1925 and educated at Bolton Municipal Secondary School and at University College, Oxford where, after graduating, he took a Diploma in Anthropology. In that era most anthropology students were intended to take up posts in the Colonial Service or, at least, to work in the colonies. The war, in which he studied Japanese while in the RAF, delayed Frank’s direct contact with exotic societies and his first professional appointment was as Keeper of the Department of Ethnology and General Archaeology at Manchester Museum. His growing reputation as an archaeologist led to visits to Nigeria where he collected for the Manchester Museum, and then to his appointment as the Honorary Surveyor of Antiquities for the Nigerian Federal Government between 1956 and 1957. His combined curatorial and archaeological expertise was then recognised by his appointment as Nigeria Government Archaeologist and head of the Ife Museum in Southern Nigeria. Ife was one of the earliest and most important cities in West Africa and its archaeology and culture became the focus of many of his studies and the basis of his most important publications. The Maori Queen, one of Maoridom's most respected leaders, has died. 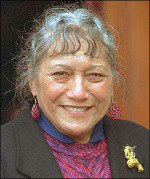 Te Arikinui Dame Te Atairangikaahu, died at home in Ngaruawahia, near Hamilton, today after a long battle with failing health. Craig Morris, an archaeologist who helped transform modern knowledge of the Inca civilization and a leader of research and exhibitions at the American Museum of Natural History, died Wednesday in Manhattan. He was 66 and lived in Greenwich Village. The cause was complications of heart surgery performed on Monday at NewYork-Presbyterian/ Columbia hospital, the museum announced. Dr. Morris was a towering figure in pre-Columbian archaeology, colleagues said. His research on the Inca culture took him on expeditions to the heights of the Andes and down to the valleys of the Pacific coast for years of vigorous excavations. One of his most intensive expeditions explored ruins of Huánuco Pampa, the huge Inca city at an elevation of 12,000 feet in the Andes. In the 1970's and 80's, he excavated more than 300 of the sites and some 4,000 crumbling buildings. Other archaeologists said Dr. Morris's excavations and interpretations transformed understanding of Inca urban life before the Spanish conquest in the early 16th century. His more recent research concentrated on the architecture and ceramics of coastal Peru as a reflection of Inca political and economic structure. He also incorporated aerial and declassified satellite photography in his latest work. 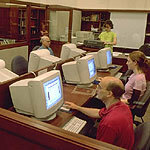 For 10 years, until 2004, Dr. Morris was dean of science at the American Museum, overseeing the staff of curators and coordinating their work on public exhibitions. "He was a pillar of our community personally and intellectually," said Ellen V. Futter, the museum president. 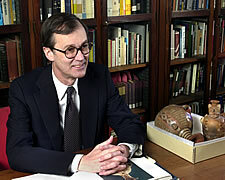 Michael J. Novacek, senior vice president and provost of the museum, said that Dr. Morris had a major role in the renaissance of the scientific exhibitions at the museum in recent years. 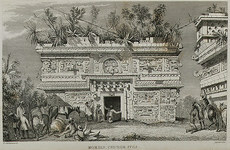 He took a direct hand in curating several temporary and permanent exhibits, including one on the royal tombs of Sipán in Peru. But it was Dr. Morris's own research that dominated his 31 years at the museum, where at his death he was a senior vice president and curator of anthropology. His expertise in Inca culture and his scholarly publications earned him membership in the National Academy of Sciences and the American Academy of Arts and Sciences. 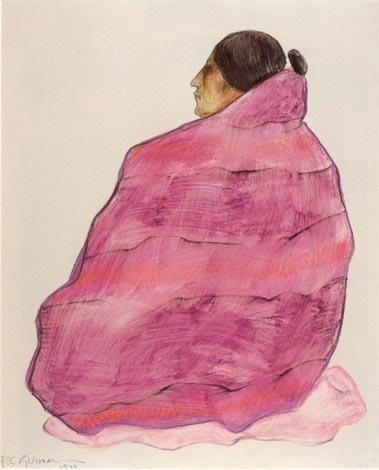 Mr. Gorman was best known for his paintings, sculptures and lithographs depicting American Indian women - typically corpulent, barefoot and wrapped in shawls or blankets. From the mid-1970's on, his work graced the walls of galleries and corporate offices around the country and was disseminated even more widely on posters, notecards and calendars. While some critics dismissed Mr. Gorman as a commercial artist who prized quantity over quality, others praised his flowing line; his warm, saturated colors; and the strength, spirituality and universality of his subjects. In 1973, his work was featured in the exhibition "Masterworks From the Museum of the American Indian" at the Metropolitan Museum of Art. After moving to Taos in the 1960's, Mr. Gorman opened the Navajo Gallery there. By the mid-1970's, he had refined the subject matter that would make him world famous. The Taos News' more extensive web obituary with a few links and reader feedback.